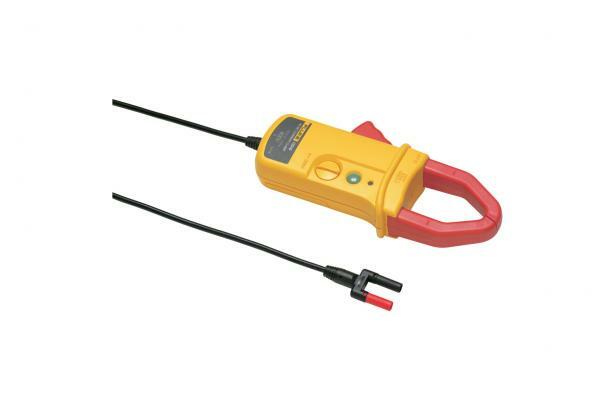 Fluke i1010 AC/DC Current Clamp is rated 5.0 out of 5 by 1. Rated 5 out of 5 by DKHsfl from Well crafted upgrade In leu of repairing my aged Fluke 80i-1010 I was offered an i1010 current clamp. I could not be more pleased with the design and construction of the clamp jaws and battery arrangement. We have used it extensively in the last few months to monitor servo installation and aid RVAT troubleshooting. As an added benefit the high visibility yellow and red makes it easier to find in the bottom of my instrument bag.